“ This is for you, Gramma, in case you feel scared at night.” My granddaughter Reba handed me a heart shaped fluffy pink pillow. I flew from California and reached Maryland this very afternoon to help out my daughter’s family and care for Reba as Tara, my daughter was going to have a baby soon. I looked around the room that I’d be sharing with Reba. Stuffed animals of all kinds, a teddy bear, an owl, Ernie and Bert, Peppa Pig and Olaff were all sitting or standing, piled up on her dresser. Reba’s artwork - several drawings of loving families with smiley faces and stick figures holding hands adorned the walls. Even there were glow-in-the-dark stars on the ceiling assuring help in darkness. And Reba’s bed was just across from my futon. She pulled the blanket and cuddled next to me with a stack of books. “ Reba, time for just one-bed time story today. You were chatting too much with Gramma, but the clock does not stop. It’s way past your bedtime.” Her mom declared. Reba gave me a book to read that tells a story of a seed. It has roots under the dirt and wings up in the air. It has arm like branches and leaves that look like fingers. The branches sway and dance in the wind and invite the birds and bees. Birds and bees come and kiss them and flowers grow. Flowers become fruits and the children enjoy eating them. Then comes a day when the plant shivers in the cold as the wind blows. It can not dance anymore. Leaves fall, branches wither and drop and everybody says that the plant is dead. Indeed it looks dead. But the seed stays under the ground and when spring comes next year it shoots up again with leaves, flowers, and fruits. “You never know!” I mimicked her, rolling my eyes just like she did a little while ago. The following day Tara’s friends threw her a baby shower. 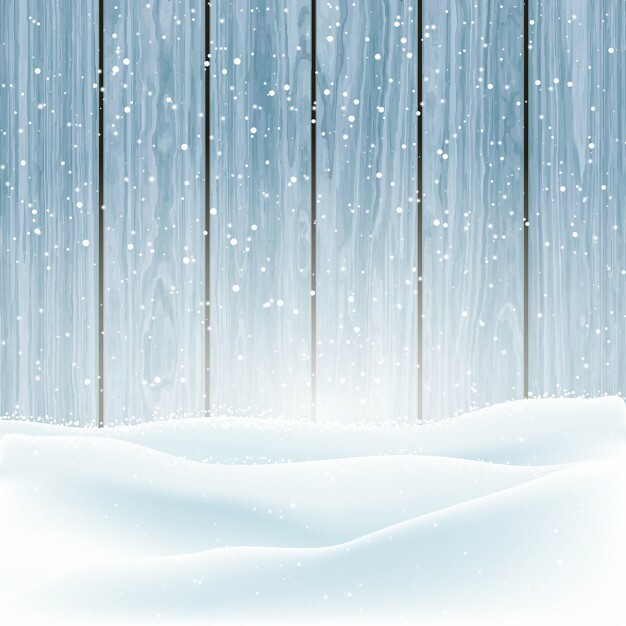 The weather was bad, so the party had been rescheduled to our house. We hurried to clean up the apartment and make it pretty. Joshua, Reba’s dad bought some daffodils and some yummy pastries. I learned that they were called hamantaschen. They are Jewish cookies, a specialty of Passover. Tara hurried to get ready and Reba was watching her intensely. Reba rushed and slammed her door. In a short while, I heard a big commotion coming from Reba’s room. Reba with mascara on her eyelids and coffee brown lipstick all around her mouth was caught. She tied the heart pillow on her belly under a white dress and attached little blocks on her shoes to make them look like high heels. Tara dragged her out of her room as it was discovered that in the process Reba had broken Tara’s favorite coffee colored lipstick. And now Reba has ruined her pretty white dress with mascara strained tears. “You look like a raccoon. Like a Dracula. Why on earth…” Tara screamed throwing her arms in the air, not sure how to vent her emotion. Joshua rescued, yelling from the kitchen as if an immediate attention was needed for some other catastrophe. I took my granddaughter to the bathroom and wiped her face with a face wash towelette. “I just wanted to be like Mommy, Gramma.” Reba looked up with raccoon eyes. I gave her a hug and tried to undo her mistakes. “ You will be like her, my dear. For now, let’s settle with this pink dress and a nice french braid, how about that?” I let her share a bit of my colorless lip gloss and showed how to gently put it on the lips, not around the mouth. Reba, now happy, skipped out of the room. I remembered the day when I got a slap on my face for stealing my mother’s perfume. That was fifty years ago. Yet the memory is crisp as a photograph. How beautiful Ma looked when I was a little girl and how much I wanted to be like her. Then came a day when I did not like hearing that I looked like my mom. And a time when I hated her mannerisms and prayed not to inherit them. “ Well Tara, if you ever need a break, … I know how much we love our moms and how useful they are…yet…you know..I have an extra room in my basement” Rolls of laughter drowned the rest of the comments. I was shocked. I had never thought of this possibility. Could I exhaust her while I thought I was helping? Could I be that one-too-many in this family, soon one day? My heart ached. Later that night Tara did not feel well. There were some complications and Tara had to go to the hospital. The doctors were worried. She was admitted right away. When Joshua and Tara left with the little suitcase, Reba looked lost. She stood in front of the window waving them, though it was dark at night and nobody could see her. From the ninth floor kitchen window, we stood still until the backlights of the car illuminated; the two tiny red light flickered and slowly swerved merging to Westbard Avenue. “ Mommy will be okay, and she’ll be back with the baby.” I brushed her hair kissing her forehead. “ Will my Mommy die, Gramma? What if my baby dies?” Reba brought her face very close to mine and looked straight into my eyes. “Mommy will not die, Reba. There are doctors to make her feel better.” I gulped. Reba stirred and left. Then she brought her lanky, reedy rag doll again and told me that she had inserted a tiny plastic baby doll that was given as a party favor earlier this afternoon, in the rag doll’s belly. Reba cut off the rag doll’s belly with a pair of scissors and now all the stuffings were on the table. “Gramma, I can’t find the baby!” She looked worried. She churned all the cotton and now the little rag doll looked really pathetic. “ Fix her Gramma. Fix her please.” She pleaded sniffling. Reba wiped her cheeks that were streaming with tears and a wide smile like a rainbow beamed on her face. “The doctors will make Mommy all better.” She kissed me and hurried to the kitchen bringing a couple of plastic bowls. “ Let’s have some ice cream, Gramma.” I knew Reba was feeling fine. In a short while she fell asleep on the sofa, her head on my lap, all cuddled up, while I tried to keep myself distracted with an old show of Golden Girls. Down the memory lane, I came across a lost world. It was a stormy dark night and I entered a haunted house. Thunders clapped, the wind howled. Doors and windows flapped with loud thuds and clanks. Bolts of lightning flung brief glimpses of rooms and corners that were dark and inky. Memories were buried here. Memories that taunt and mock, whimper and moan. I was scared. I wanted to get out of here, I looked for that pink heart pillow, but I was stuck. I remembered my mother. I remembered her last years when she was stuck in bed as a stroke victim and the guilt I felt. I could not be with her when she needed me most. My father thought Ma would be the first one to go as he was in much better shape, health-wise. But that did not happen. Ma was left alone with hired caretakers in Calcutta, while I was twelve thousand miles away in America. 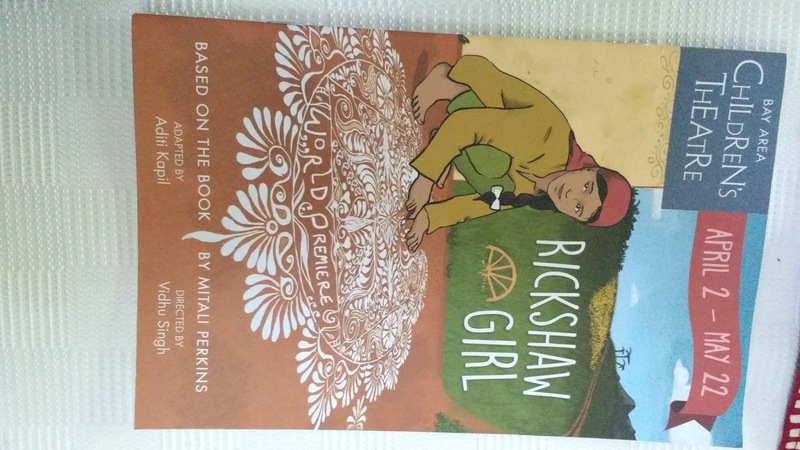 A young girl, Rani, used to take care of her at night. I could be with my mother for only ten or twelve days each year during her last four years. One time, when I went to visit her I happened to sleep next to Ma under the same mosquito netted bed. Rani slept on the floor in a sleeping bag without the mosquito net. She believed that mosquitoes didn’t bite poor people. They only go for good, rich blood. “Rani, I need to go to the bathroom” Ma called her. No response. Deep breathing and snoring sound from Rani’s deep slumber floated. “What’s going on Rani? Is this why we hired you? Is this how you take care of her? I just happened to see it today.” Rani startled, hurried and took Ma to the bathroom. That night I couldn’t sleep. I thought of the day when I overheard Rani scolding Ma. Rani thought no one was around. As soon as I entered, she straightened it like smoothing out a bed cover. I felt miserable thinking Ma’s helpless situation. I felt guilty and hopeless. She shouldn’t deserve this, oh God! I had a conversation with God and prayed to let her go. Please take her now God, I can’t see this anymore. The next morning the sun shone through the window. Ma woke me. I took a sip of my tea and gave Ma a tight hug. “ Rani loves me. She brings cakes, though cheap ones, but with her own money to share with me. She is like my Tara. Remember they were born in the same year, the same month?” I did. Rani’s mother used to work as a cook in our house. “ She is young like Tara, full of energy, hard working and so they sleep well at night. Only Rani is poor, She needs the money. She will have to take another night shift somewhere else if she loses this. Don’t fire her, please. Only if she gets married, let her go. And if I am not there give her the gold chain that I kept in the locker. You don’t live here, Khuku. I don’t get to see you when I want. I look forward seeing her face every morning. I felt a deep pang. I knew Rani could do things that I couldn’t. I would not be able to help her in the bathroom. I tried that once and it was a disaster. Rani stayed with her all along. I was not there when Ma passed away. My heart filled with a strange emotion now and I felt ashamed of me. What did I know of life that I wished my mother’s death, who made peace with her own problems. How selfish was I to pray like that just so that I could wash my hands and end my guilt feeling? Today I prayed for her forgiveness. I was ready to show how much I can love if I had one more chance. A chime in my phone woke me up. It was Joshua sending me a message. My eyes welled up. I looked out the window. 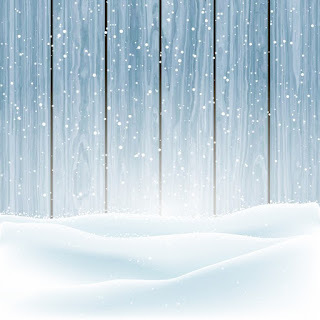 It was early morning, snowing. Treetops shimmered with icicles and dollops of snow. The Westbard Avenue was cloaked with a white blanket. The cinnamon brown buildings looked yummy like chocolate cake with frosting. I kept on enjoying this view from the ninth floor window until the morning sun dazzled with a rainbow smile. Now I could wake Reba to give her this big news. A couple of months later I received a letter in the mail. It was from Reba- a picture of a flower on a long stem that she drew with a caption. It was with all misspelled words but I could make out what it meant. 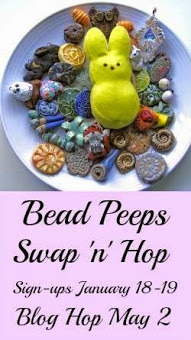 What fun I had in this Beed Peep blog hop! 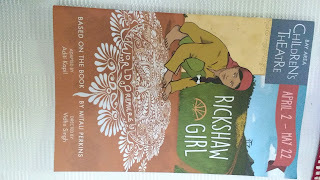 On this lovely Sunday morning, today ( May 8) I opened my package one more time that my partner Andrea Glick sent me. There were lots of lovely things, but for today I am choosing the lovely hand made lamp work focal ( by Marcia Seever of Shazazz Glass) to work with. Andrea sent me lots of these lovely things. Sorry this picture did not do much justice. I'll show later the pieces I chose for today's project. In Andrea's stack there were some cool Greek beads and lovely pink swarovski, rose quartz and czech glass rondelles that I plan to attack soon another quiet morning. 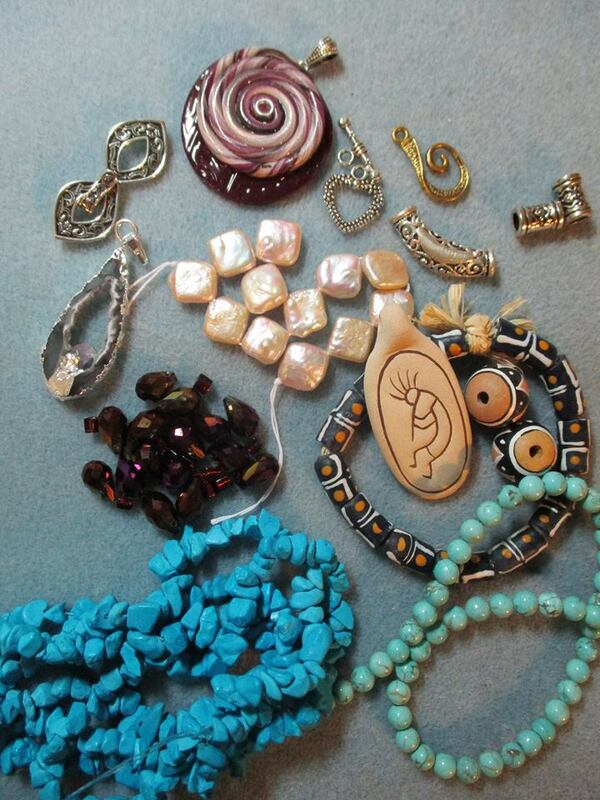 This was a great opportunity to ask myself what I love most in making jewelry. And I found that in terms of colors, I like them all. I have no particular color that I absolutely hate. It depends on the shade sometimes. 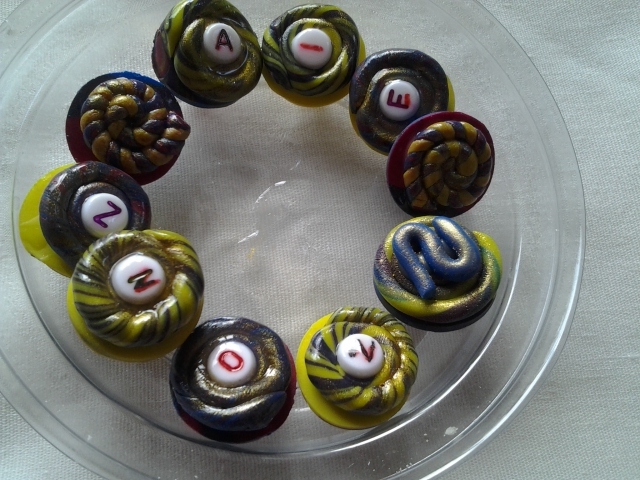 For that reason I love to work with Polymer clay where I mix different colors and experiment. I am just beginning to understand the importance of negative space regarding colors and design. I work with wire a lot and wish I had more time to play with that technique. I also work in the area of wire knitting and that comes easy for me. 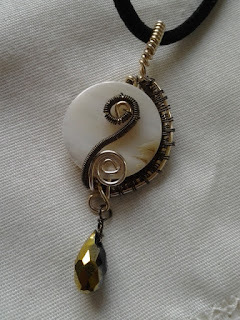 I integrate gemstones, crystals, precious metals or not-so-precious all to experiment. 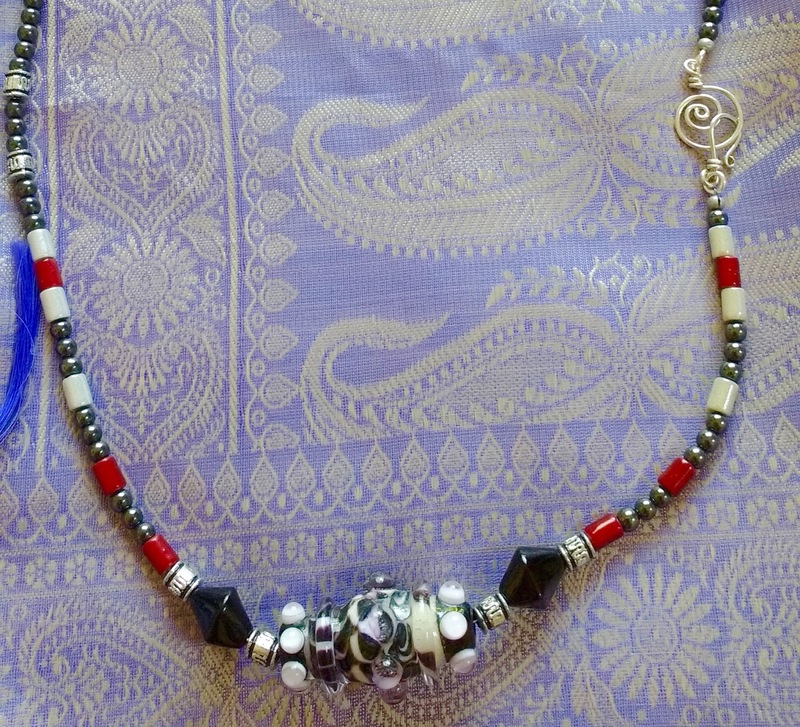 and I chose the the hemalite, (not hematite) string of beads. 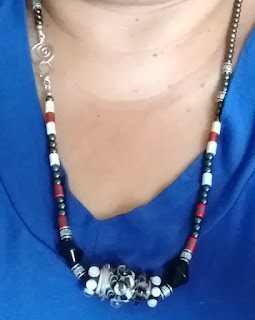 To accent, I added red and white accent tube beads from her stash. 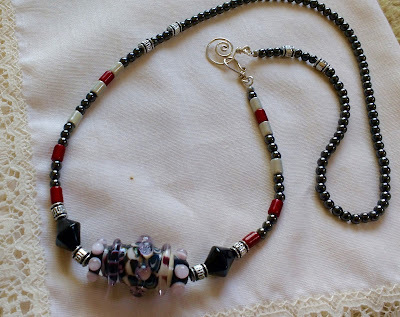 Here is a necklace that I came up. I think I am going to keep it for me. 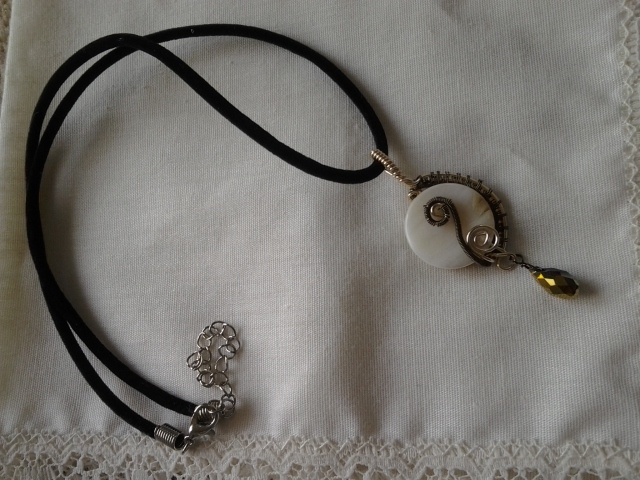 It will go lovely with many things I wear. I could not resist showing off the sterling silver clasp she sent. I am not sure if Andrea made it herself. It is just darling. Thank you Andrea. So I put it at the side. The necklace is 24 inches in length. I could just slip it over my head and not bother opening the clasp. It is just for show! 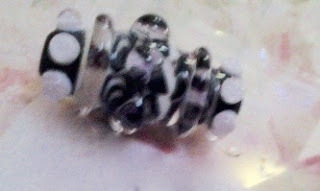 Andrea sent me some nice pink swarovski and jet black beads from Greece but for today I chose these. Please check the other wonderful participants of this blog hop and see what they made. It was fun for me taking part in it. Thank you Linda Anderson for hosting it. I went back to wire weaving again. It is so addictive. This is my new passion now. 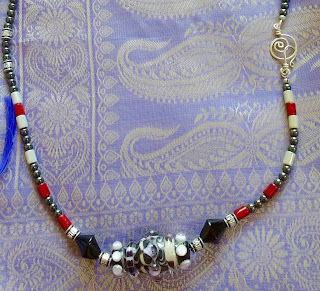 I go back and forth with making wire knit jewelry, then polymer clay and there is wire weaving, always wire weaving. The month of January kept me warm with this wonderful knitting pattern that I got from Ravelry. It was a FREE pattern. Meghan Jones was very generous to post this pattern free and give me all the help I needed via Face Book messages. You will find this pattern in that link. I had a resolution this year that each month I'd learn something new. Indeed I did. I had no idea what wt. means in knitting- it means wrap and turn. It is also called SHORT ROW. If you don't know what I am talking about , just type wt in knitting and go to Youtube. There are several generous knitters who would walk you through. And why would I do that wt thing? This pattern showed me why. In the beginning it was difficult for me to understand the pattern since I had never done any thing like this. Kitchener stitch was also a new thing for me. 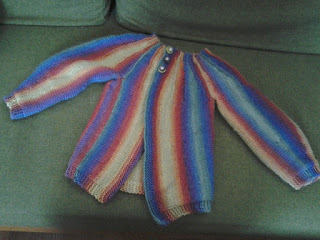 But once I grabbed the idea the knitting went fast. I had to knit a sweater for my dear Zoe for her birthday and each year she expects something hand knitted from me. 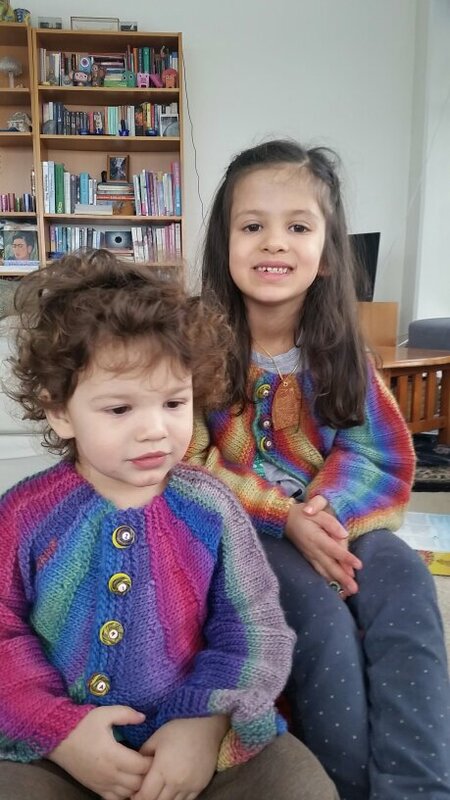 One year I just sent her toys...she told me "But where is the hand knit sweater you make every birthday for me?" That was so sweet. The love I put in each stitch touched the six year old recipient. What can a knitter ask for more? 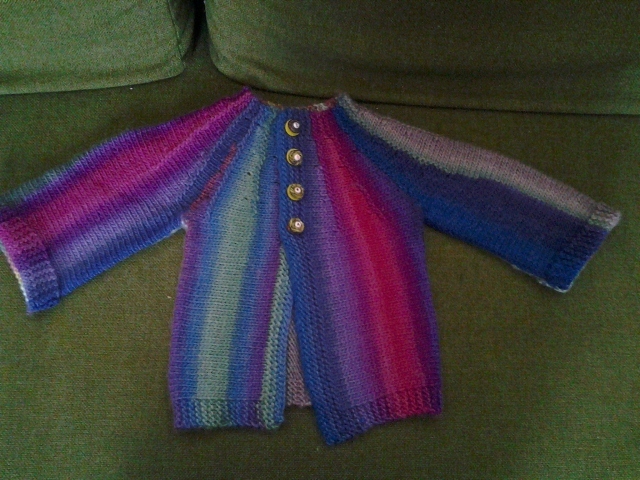 To get a hold of the pattern first I tried it on her little sister as it is only a size 2 . Meghan made it clear for several sizes in this pattern, so when I did the size 8 I had already had some experience. I made the buttons too to personalize them. 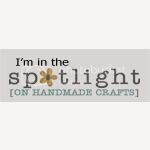 I am indebted to Ginger from The Blue Bottle Tree who has a wonderful blog on everything you want to know about Polymer Clay. She walked me through creating the buttons and gave me enough courage telling which brand of clay to use that will withstand several washing machine agitations. But I recommend that these cardigans be better hand washed. I used Knitpicks Chroma Worsted Yarn for these pieces. The smaller one is in Lupine and the bigger one in Carnival. 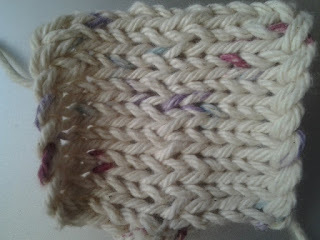 I am happy with the yarns though sometimes the weave of the yarn is too thick at one place and not as uniform. But I think that gives an organic feel to it as long as you are aware of the fact while knitting. Two sweaters in a month is pretty good speed I'd say. Thank you for coming to visit my blog. I'd love to hear your comments. 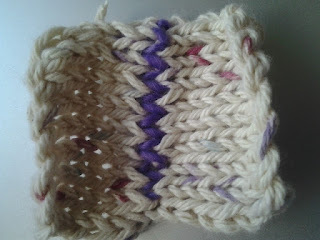 Today I understood the Kitchener stitch. It is a way to join two knitted pieces, also known as grafting. Why is it important - because it will be smooth with no bulk. 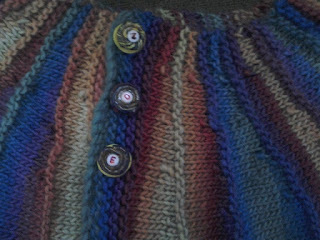 It is a neat thing that good knitters do to give their work a professional touch. It was mostly used in joining the toes of a sock but now it is equally coveted in sweaters, cardigan or other knitted garments. I had a pattern that is almost finished except this Kitchener stitch part and I was really struggling to understand it for the last three days. It is supposed to be a gift. I have rigid deadline. In this second one I understood the rhythm better. I understood it more clearly as she showed the process with a better rhythm. Pick up the front stitch as if to knit, let go off the stitch, but not the thread, immediately go to the next stitch of the same needle as to purl. This the part I was messing up and this video helped me sort it out. Where did the name come from I wondered. Strangely, folk lore goes that an English guy who was a Field Marshall General around World War I, also served in India from 1902- 1909 for recruiting soldires to go fight for the WWI showed the English and American knitters how to graft the socks' end so that the bulge would not hurt the toes. The soldiers' toes I believe. Lots of socks were knitted for the soldiers I assume. This is how the name of this military guy came in to our knitting world. Now I am ready to finish the sweater for my darling little one. A new year rolled in and in a blink of eye 2015 passed away. Today is a day to make resolution. Yet why this farce ? Do I really keep them? Still I like to pause and think what I want to do this year. It takes us to think about charity, about giving more for the wellness of others. 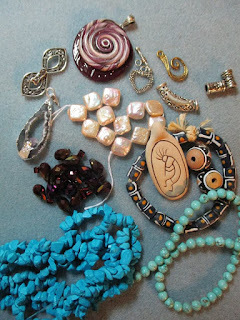 With these thoughts I go back to my bead boxes to see what I can make. 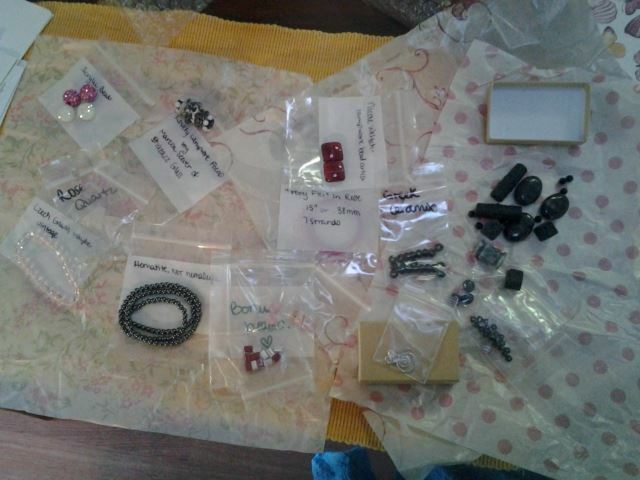 Here Earrings Everyday invites us to be part of a blogroll where we can take part in the journey in making earrings. 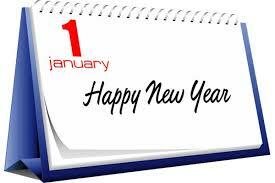 I wonder what are your resolutions for this year. What are you looking forward to making or changing ?